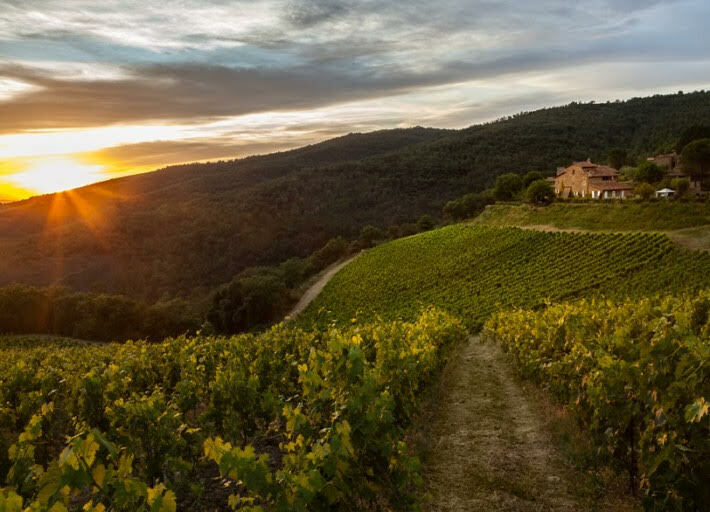 The Tuscan region in Italy is chock full of rich tradition, history, culture, food and wine. There is an overwhelming amount of wineries in Tuscany, and Chianti, the jewel of the wine country, produces one marvelous wine after the next. How does one decide which wines to taste and which wineries to visit? While it is nice to taste and visit them all, there are some that should not be missed. Montemaggio is one of them. 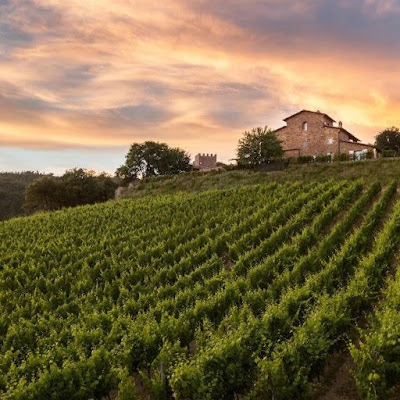 Located in Radda in Chianti, which is in the heart of the Chianti Classico region between Siena and Florence, is the magnificent Montemaggio Estate. Fattoria di Montemaggio is situated where there was once a 14th century tower and is also featured on a map, dating back to 1560. MonteMaggio, or Monte Maggiore, means big mountain, indicating its elevated position. The mountainous position of Montemaggio and other elevated wineries play a huge role in wine-making and the affects on the wine. It is known that high altitude wines are affected by several factors, such as the amount of oxygen, the temperature, the amount of sunlight and the soil composition. The altitude has an impact on the concentration of oxygen the grape vines receive, as higher altitude usually means lower oxygen, which lengthens fermentation, but can enhance the taste. The temperature also plays a key role as higher altitudes usually mean cooler temperatures, which results in slower ripening and longer growing seasons. The variation of temperatures between day and night allow the flavor profile, acidity and structure to develop over time, and can lead to richer fruit, aromas, appearance and taste. Exposure to sunlight helps in this regard as well. Increased exposure to sunlight can lead to more intense flavor and color, or phenolic ripeness, which is the ideal flavor ripeness of a grape. This occurs when there is the perfect balance between tannins and pleasant, ripe tasting fruit. Lastly, even the soil has an impact. Rocky soil tends to put the vines in stressful position where they have to work harder and grow deeper to get the necessary nutrients and water. As this may yield less fruit, it yields fruit that is rich and full of character. 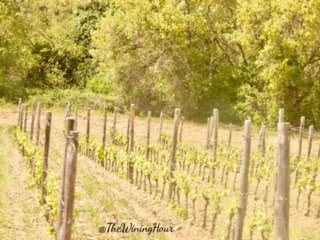 Montemaggio's soil is rich on galestro, sandstone, and alberese. Authenticity, character and quality are the goals of Montemaggio. 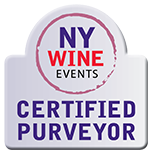 "These characteristics, in addition to the exposure (south – south west), the slopes, the micro-climate, the soil and the hard and accurate work done, guarantee the production of excellent and authentic Tuscan wines." Montemaggio is a female-run company, as the owner is a woman and the agronomist is also a woman. Attention to detail is manifested in everything they do and everywhere on the estate. 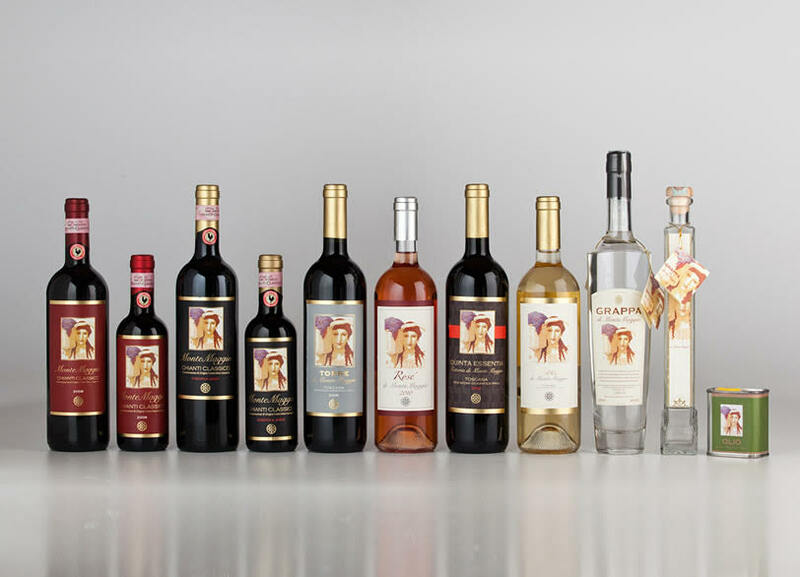 The new wine label, which is a design of an Etruscan woman, symbolizes the strength of women and highlights women as wine growers or wineviticulturists. This further represents their attention to detail. 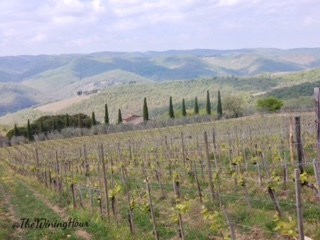 Montemaggio mainly produces Sangiovese, with small additions of Merlot, Pugnitello, Chardonnay, Malvasia Nera, and Ciliegiolo. In addition to wine, they also produce grappa and extra virgin olive oil. "Montemaggio follows the concept of a very high quality “Terroir” wine." As mentioned, emphasis is placed on authenticity, character and high quality. Montemaggio is certified organic since 2009. "We practice organic agriculture and thus cultivation is carried out with the maximum respect for the nature, without introducing any foreign or chemical element that can damage the environment." It was interesting to learn about several of their all natural and organic methods, such as the use of aloe to strengthen the vines, the use of dry ice to facilitate long maturation and others. One particular method, that of "sexual confusion" to control the insect population, was especially interesting. Instead of having to treat the vines for insects, "sexual confusion" is done to protect the vines by confusing the male insects so that mating with the females does not occur. If they do not mate, there are no eggs or anything further to damage the vines. I like it! Moreover, I also was delighted to see their beautiful garden with a vast array of herbs, rose bushes, plants and vegetables. It was a true expression of biodiversity and sustainability. Since it is an organic winery, the harvest is executed manually, as Fattoria di Montemaggio strives to "preserve all the quality of the elements that are a part of the land where they have been cultivated." 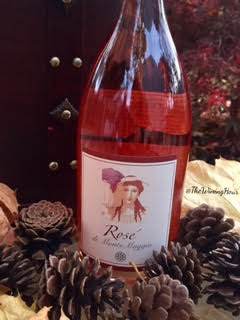 Montemaggio's Rosato is an IGT, and is an organic Tuscan wine made from 100% Sangiovese grapes. It is produced with grapes picked from an early harvest from the cooler areas to obtain the ideal acidity, lower alcoholic gradation and freshness in the wine. This skin-fermented varietal had contact for only one night to achieve the desired color and complexity. Next, the skins are separated and fermented at low temperatures in stainless steel vats for about 10 days. The wine is bottled after 8 months and placed on the market after at least one year. It is very interested that Montemaggio chose to cork this rosato with a pink glass cork (see below), which is reusable, to preserve the quality and the authentic taste of this wine. Rosé di Montemaggio is bright rose in appearance, with a fruity bouquet of strawberries and rose petals. It is fresh, dry and balanced with notes of sweet cherry, wild strawberries and crushed rocks. This rosato is delicious as an aperitivo or paired with salads, fish or other white meat dishes. As rosé usually embodies summer, this is a good one! Do note, however, that I would sip this any time I want something light and refreshing-all year long. 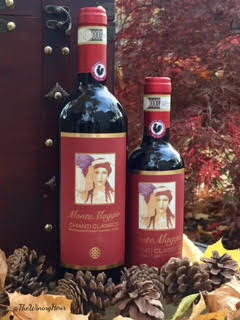 The Chianti Classico di Montemaggio is produced from predominantly Sangiovese grapes (95%) and a small portion of Merlot (5%). Both grapes undergo fermentation separately in stainless steel tanks for 25 days. 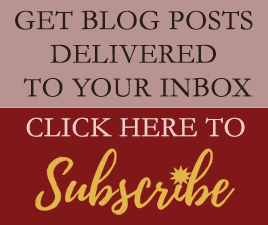 The Sangiovese is then put into Slovenian and French oak casks, while the Merlot is put into second-hand barrels, it undergoes malolactic fermentation and then aged for the next 24 months. 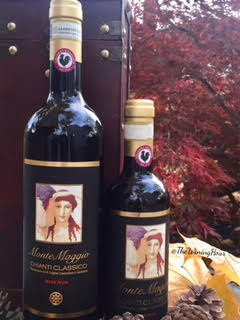 Montemaggio's Chianti Classico is vibrant ruby in color, with a floral bouquet of marjoram and potpourri, as well as cherry and violet. This wine has delicate flavors of cherry, strawberry and clove and is a medium-bodied wine with dry tannins and good acidity. Chianti Classico di Montemaggio is versatile and would pair well with any antipasto, array of cured meats and cheeses or a juicy hamburger. I tasted this with olives, mozzarella di bufala, salume toscano, stuffed peppers and a few other local treats. This 2010 vintage of Chianti Classico by Montemaggio was awarded the Decanter Asia Wine Awards 2016 and Decanter World Wine Awards 2016, Decanter World Wine Awards 2015 and Veronelli 2015. 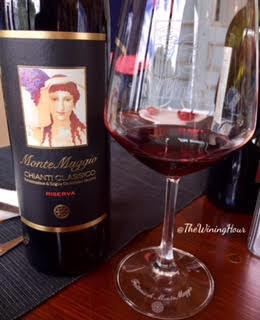 Chianti Classico Riserva di Montemaggio is a beautiful manifestation of its region of the same name. It keeps the style of the Chianti Classico and uses 95% Sangiovese and 5% Merlot grapes. After harvesting (by hand), the grapes are fermented for about 30 days in conical wood trunk vats. Next, malolactic fermentation occurs in stain- less steel and wooden vats. The wine is left to mature in large barrels and tonneaux for about 28-36 months. With its deep ruby red color, it greets with aromas of cherry, black pepper, clay and tobacco. According to Montemaggio, "It is produced from a selection of the best Sangiovese grapes that comes especially from the oldest vineyards. 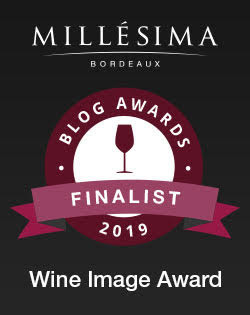 The elevated locations of the vineyards (from 450 to 600 metres above sea level) and the large variation in temperature between night and day gives the wine their particular bouquet." The palate is intense with earthy, rustic notes, spicy cherry, clove and plum. This wine is appropriately tannic, medium-full bodied, well-balanced and has a lingering finish. 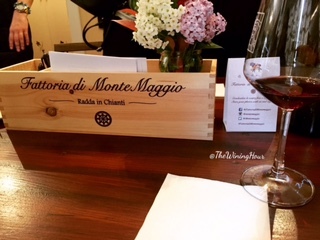 Chianti Classico Riserva di Montemaggio would pair with most read meats and strong cheeses, such as the local pecorino. 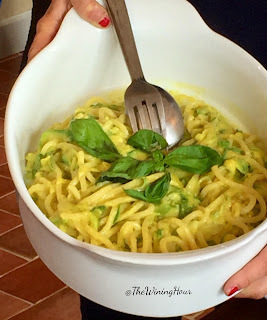 I was able to taste this wine (and the next) with a traditional pasta, pici, with zucchini, saffron and leeks. Delicious! This 2009 vintage of Chianti Classico Riserva di Montemaggio was awarded the Decanter Asia Wine Awards 2016 and Decanter World Wine Awards 2016, Decanter World Wine Awards 2015 and Veronelli 2015. Ahhh, Torre... Where do I begin? First, I am still shocked to say that this wine is made from 100% Merlot grapes. The flavor profile of this wine could certainly deceive in a blind-tasting. Apparently, Torre, an IGT, is one of the first wines that was produced at Montemaggio. Torre, meaning tower, refers to the century tower that once stood above the old Roman road between Siena and Florence. Torre undergoes fermentation for about 30 days in stainless steel and wooden vats. Following is malolactic fermentation in stainless steel vats. The wine is then allowed to mature for about 18 months in barrels mainly for the second passage and partially in tonneaux. With its intense purplish-red color, Torre is intoxicatingly aromatic, with baking spices, vanilla, red berry fruit and anise on the nose. 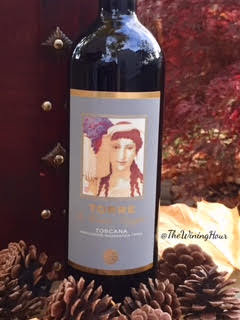 Elegant and smooth like velvet on the palate, Torre is full of rich, dark berry fruit, ripened red plum and black cherry, spicy vanilla, chocolate, coffee and cedar. This Merlot is packed with flavor, balanced and more towards the full-bodied end of the spectrum. Pairings? Steak, burgers, chicken, veal, you name it. I cannot deny it--this varietal blew me away! I truly did not expect to enjoy this wine as much as I did. My cellar is not exactly stacked with Merlot, yet, Montemaggio's Torre is a game-changer. The 2012 vintage of Torre di Montemaggio was awarded the Decanter Asia Wine Awards 2016 and Decanter World Wine Awards 2016. Another gem was found in Montemaggio's Chardonnay. This IGT Chard is made from 100% Chardonnay grapes and was produced for the first time in 2010. After harvesting, the grapes are stemmed and softly pressed. The must is then placed in stainless steel and then fermented in tonneaux or barrique. After fermentation, yeast is added, the wine gets decanted and returns to tonneaux. After about 8 months in wood barrels, the wine is bottled and ready to for the market. Just like the Rosé di Montemaggio, their Chardonnay is bottled with transparent glass corks (see photo above) to preserve its authentic taste and prevent deterioration. Only 600 bottles were produced. Chardonnay di Montemaggio is straw yellow to the eye. It has an inviting perfumed bouquet of honeydew melon, pear, honey and citrus blossom. The palate gets tricky, and it's what makes this Chardonnay very unique. There's delicious of apple, chamomile, toasted almond, hazelnut and notes of crushed stone. This is a very unusual Chardonnay, as it demonstrates the perfect balance for those who do not want abundant minerals or an abundance of butter and oak. 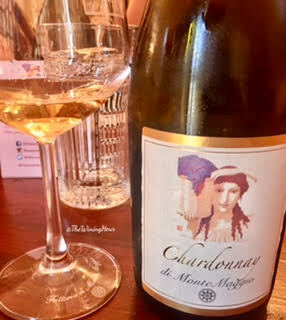 Montemeggio's Chardonnay is versatile and delicious, and it can be enjoyed on alone, or to pair with white meat and fish. According to the ancient Greeks and Indians, the world is composed of 4 elements: earth, water, fire and air. The Greek philosopher, Aristotle, added a fifth element, aether (ether), also known as akasha in India and quintessence in Europe. 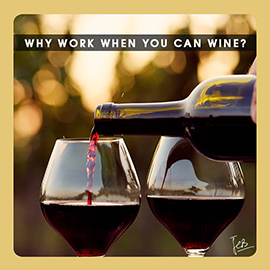 Fortunately for all of us, at Montemaggio, the fifth element, or Quinta Essentia, is wine! 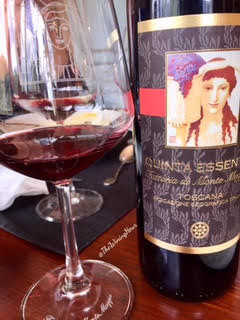 Quinta Essentia di Montemaggio is a Tuscan IGT wine produced by for the first time in 2008. It blends 60% Merlot and 40% Sangiovese grapes. After that harvest, the grapes are fermented separately for about 30 days in stainless steel tanks and wooden conical vats. After malolactic fermentation, the Merlot is refined for about 18 months in oak barrels, while the Sangiovese is refined in large barrels and partially in tonneaux. Then, the two wines are blended and put in barrique for about 18 months. Quinta Essentia is a special wine, as it was inspired and created by a lover as a birthday gift for her husband as an expression of her love. This wine itself is a quintessential love story! Only 1000 bottles of this vintage were produced. Quinta Essentia di Montemaggio has a profound ruby red appearance. The nose is elegant, emitting notes of raspberry, red currant and leather. Merlot and Sangiovese is a common blend, as the Merlot usually softens the texture. As this blend consisted of more Merlot, it contributed to the juiciness and added more fruit. 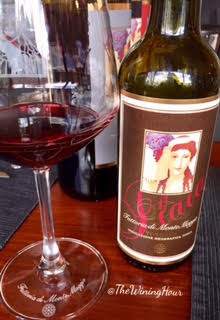 The palate is smooth consisting of black cherry, raspberry, plum, cedar and clay. Quinta Essentia is full-bodied and would pair with rich meats, lasagna, mushroom pappardelle and other pasta or tomato-based dishes. This 2011 vintage of Quinta Essentia di Montemaggio was awarded the Decanter Asia Wine Awards 2016, the Decanter World Wine Awards 2016 and Veronelli 2015. Ilaia di Montemaggio is an IGT made from 100% Pugnitello, a lesser known grape indigenous to the Tuscan region. The grapes grow in small bunch-like fists, and fist is pugno in Italian. Hence, the name Pugnitello. While this grape is susceptible to disease and requires a lot of attention, Montemaggio's owner saw its potential, and Ilaria, the agronomist, followed suit. In fact, the name “Ilaia” is very similar to “Ilaria,” which means joy. Having met Ilaria, I see why! The Pugnitello is grown in a small plantation of 3 high-density vineyards terraces at Fattoria di Montemaggio. Following a careful selection, fermentation takes place for about 25-30 days in stainless steel. After malolactic fermentation, the wine is refined for about 18 months in oak barrels. Ilaia di Montemaggio is an intense purple-red, with fruity, yet warm, savory aromas. Think blackberries and cured meats. The palate is absolutely unique and fresh, tasting of cherry, blackberry, almond toffee, and leather. This wine has lots of character and a potential for aging 15 years or more. Ilaia is a full-bodied wine, balanced with good acidity and a persistent finish. This wine is quite versatile, and it would pair nicely with a roast pork, steak or delicious stew. 2012 was the first harvest for this wine. Despite the challenges, the results show that it was clearly worth it. I thoroughly enjoyed my experience(s) with Montemaggio. I could not have been more pleased! 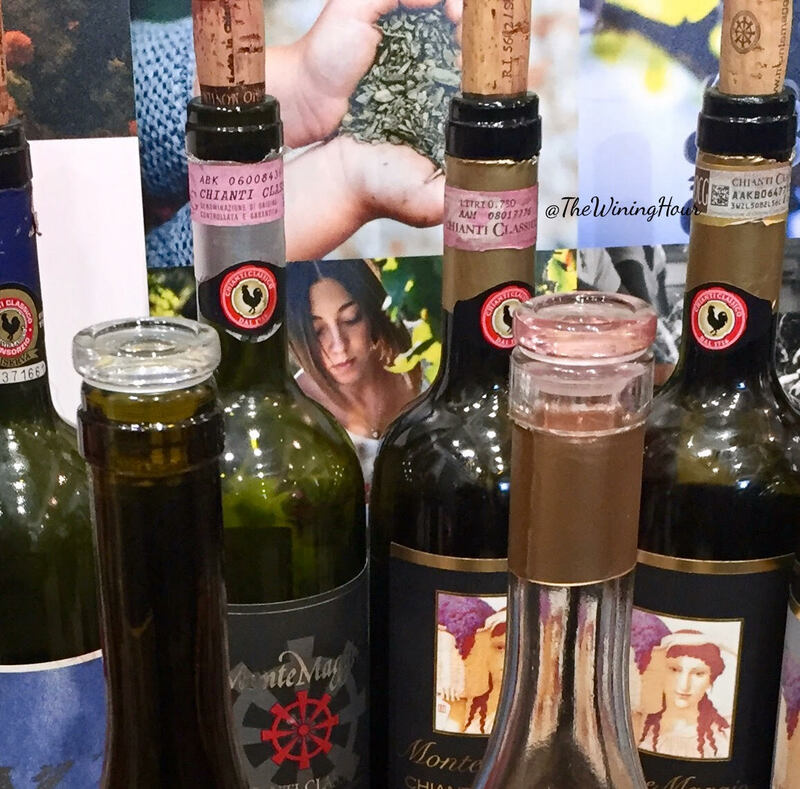 Be sure to visit Fattoria di Montemaggio when in the Tuscan region, and also check out our vertical tasting experience with Montemaggio and our Highlights of VinItaly 2017-51 Years of Innovation. Copyright © 2015-2018 The Wining Hour, Inc. All Rights Reserved.